A historic warehouse at 411 S 1st Street is the new headquarters for STC’s innovative healthcare technology. After nearly 30 years in their Scottsdale and Tucson locations, Scientific Technologies Corporation (STC), a leading healthcare technology and consulting firm, has officially relocated to the Phoenix Warehouse District. STC has directed the massive renovation at 411 South 1st Street over the past year. Nitti Builders LLC and Corgan transformed it from an abandoned door manufacturing plant to a new cutting edge innovation center. The 26,000 square feet will feature an open-office layout, all-glass conference rooms, and “The Edge,” an event rental and collaboration space (www.stchealth.com/theedge). STC takes up residence there on Monday, Janaury 29th, and they are wasting no time making themselves a part of the downtown Phoenix community. The Edge will be host to an entire day of programming during Phoenix Start Up Week in February (http://phxstartupweek.com/), in addition to STC’s annual “Ideas Start Here Day” competition that week and Grand Opening party on February 22nd(https://www.eventbrite.com/e/stcs-warehouse-district-grand-opening-tickets-41930260538). STC would like to thank the City of Phoenix, Keyser Commercial Real Estate, Corgan, CCBG Architects, Transact Commercial Interiors, IES Communications, The Empire Group, and The Downtown Phoenix Inc and Warehouse District teams for making this all possible. 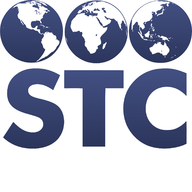 For more information on STC or any of the above-mentioned events, please visit www.stchealth.com or contact marketing@stchome.com. There are tens of thousands of deaths each year from the flu, new measles cases occurring when it had been all but eradicated and whooping cough still kills the young. These and many more diseases are diminished through the use of vaccines, public health prevention programs, and data intelligence. STC, through our innovative technology solutions and consulting, is on the front line of this battle with its mission to create a healthier future. Ideas Start Here. payers and technology innovators will “think big,” collaborating and envisioning a Center of Best Practice. The collective goal is to imagine and create a center that engages, empowers, and builds awareness, know-how, and capacity to improve population health, reduce healthcare costs, and provide compelling value for collaborators to partner across the immunization and medication use ecosystems.